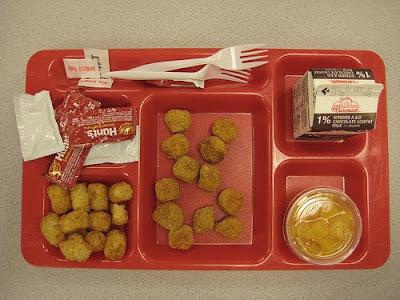 Contents: Tater tots, chicken nuggets, fruit, chocolate milk and ketchup. This is the saddest lunch ever! Those chicken nuggets look like what my elementary school called "popcorn chicken".